Before working in groups, it is important to establish an understanding of what that looks like and feels like. 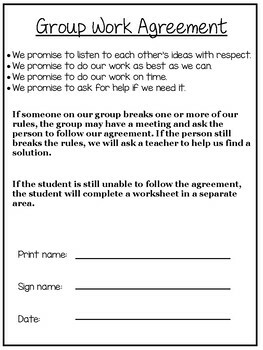 This agreement helps with classroom management related to group work. You can use the language from the agreement to explain that students are following or not following their promise to the group. This helps students understand the expectations of working in a group as well.